Are you a teacher in Iran eager for professional development? Are you someone who has taken a Tavaana class or read Tavaana course materials online and now wants to use them to train others? The Tavaana Teacher’s Corner provides you with the resources you need to successfully train your networks. Get started now! This Tavaana-exclusive manual explores political socialization in schools, and presents a democratic alternative to traditional authoritarian models of education. Using this practical guidebook, educators will explore the kind of learning necessary for active democratic citizenship, and what they can do to facilitate that learning. Ultimately, educators will be equipped with the knowledge to foster independent, critical thought. The manual tackles the challenging issue of the "hidden curriculum" head on by presenting a systematic approach for infusing democratic values and principles into both classroom practice and education management. The manual shows how these approaches are not only democratic—they also happen to be consistent with best practices in teaching and learning more generally, making the content suitable not only for those interested in supporting democratization, but also for those simply looking for practical advice to better engage their students and facilitate learning. Click here to read Tavaana's exclusive manual, "Education for Democracy: A Guidebook for Educators." In Children of Addiction, first published in the late 1980s, human rights defender Mehrangiz Kar warned that drug addiction among children and adolescents in Iran would become a national crisis if the issues raised in the book were not addressed. Her warnings went unheeded; since the book's publication, addiction among Iranian youth has reached epidemic proportions. Though currently banned from publication in Iran, Tavaana has partnered with Mehrangiz Kar to publish this new edition and make it freely available to all. In this Tavaana-exclusive, updated edition, Kar brings to light the current problems of these youth and the societal crises that stem from their continued neglect. Children of Addiction compares relevant Iranian laws and practices to international laws and norms while bringing readers close to Iran's most vulnerable children and their daily struggles. 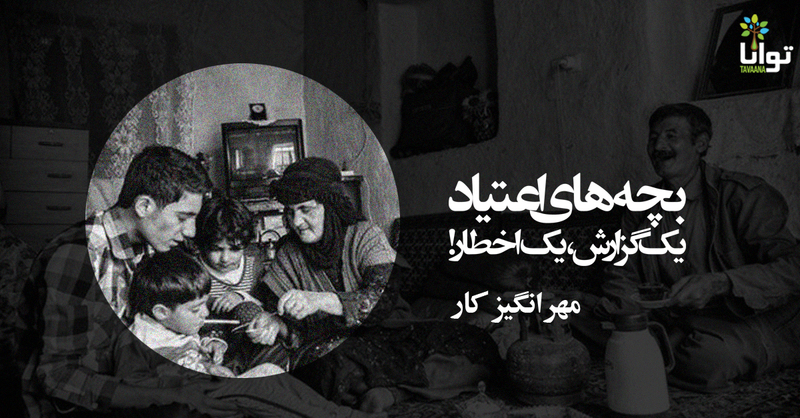 Download Tavaana’s exclusive Children of Addiction and share it with others. This Tavaana-exclusive introduction to the disability rights movement in Iran presents different models of disability and formulates an argument for progressive change in Iranian society based on a “social” model of disability. As part of this approach, Biopower: Discussions on Disability and Social Change examines disability as a discursive construction that has resulted in the repression of disabled individuals in Iran. It also employs philosophical, political, and cultural arguments to analyze the repressive laws, cultural artifacts, and prevalent negative mindsets that have adversely impacted the lives of the disabled. Calling for a collaborative national endeavor to recognize the disabled’s individual, social, and political rights, Biopower argues for changes in laws, employment policies, urban planning, transportation systems, public spaces, and education in order to empower all Iranians. The book calls for both disabled and able-bodied individuals to undertake civic activism for social change. It also discusses change in language, arts, literature, and sociopolitical discourses to avoid the cultivation of negative mindsets toward those with disabilities. Author Saeed Sabzian is a PhD student in rhetoric at the University of Waterloo, Canada and researches aesthetics for democratic and deliberative implications. Download Tavaana’s exclusive Biopower: Discussions on Disability and Social Change and share it with others. This Tavaana-exclusive manual seeks to stimulate critical thinking and action in fostering children’s development and protecting children’s rights. In addition to laying out the unique characteristics and historical background of children’s rights, the manual provides a comprehensive definition of the “child” and her fundamental rights under Iranian and international law, including the right to life, right to be free from discrimination, right to physical and mental health, and political rights. The manual also explores children’s social and cultural rights, including the right to their identity, the right to hold citizenship and documentation, the right to an education, the right to live in a safe and secure society, and child labor as a violation of rights. Download Tavaana’s exclusive Children's Rights manual and share it with others. Led by education expert Matthew Hiebert, these webinars equip teachers and school administrators with the tools they need to democratize classrooms and cultivate students' critical thinking skills. "The Nature of the State" is a lengthy excerpt from CIVITAS: A Framework for Civic Education, a landmark civics teacher's manual created by the Center for Civic Education in 1991 and used extensively in the United States and across the globe. This exclusive Tavaana translation includes exhaustive, thought provoking pedagogic guidelines for teaching the theoretical conceptions of the state, the historical development of various models of the state, the idea of constitutional popular government and liberal democracy, sources of Marxist theory, the characteristics of totalitarian and fascist regimes, the ideology and history of nazism and the spread of democracy in the late twentieth century, as well as debates over democracy and the democratic state. A series of activities is provided to help teachers convey the concepts and the histories to students of various ages. 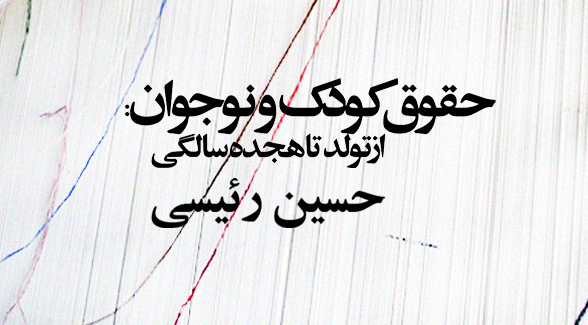 Download Tavaana's exclusive Persian translation of "The Nature of the State." Click here to read Tavaana's exclusive translation of "Teaching Civic Education: A User Manual." Download Tavaana’s exclusive manual on teaching students with autism and share it with others. Download Tavaana’s exclusive Training of Trainers manual and share it with others. Remember that you are always free to duplicate, share, and use Tavaana materials to train others!